People who are meant to be in each other’s lives will always gravitate back towards the other, no matter how far they wander. And this couldn’t be truer for Jang Wooyoung (Idol; 2pm) and Park Seyoung (Actress; School 2013, My Daughter Geum Sa Wol). Although they had previously crossed paths in a Coca Cola CF in 2012 and on the stage of Music Bank repeatedly in 2013, it wasn’t until a year later when they gravitated in each other’s orbits again where they were partnered together for ‘We Got Married’. Their fateful first meeting took place on the 2nd of January 2014, in a chocolate café over iced drinks and nervous conversations. Seyoung had all the characteristics of the ideal girl Wooyoung had since he was young while Wooyoung fit the ‘cool guy with satoori-accent’ image that Seyoung liked. Together, they fell in an unconventional, whirlwind romance witnessed by shippers worldwide who called themselves, YY Nation. It was her brave confession and Wooyoung’s heartfelt message that he wrote on their love bench; “I have no pride in front of the person I love. That person is you, without change,” which convinced us, shippers that what initially started as a virtual relationship between these two beautiful souls had translated into something more. People who are meant to be in each other’s lives will always find their way back to each other. And YY Couple is a perfect example of if it’s meant to be, it will. 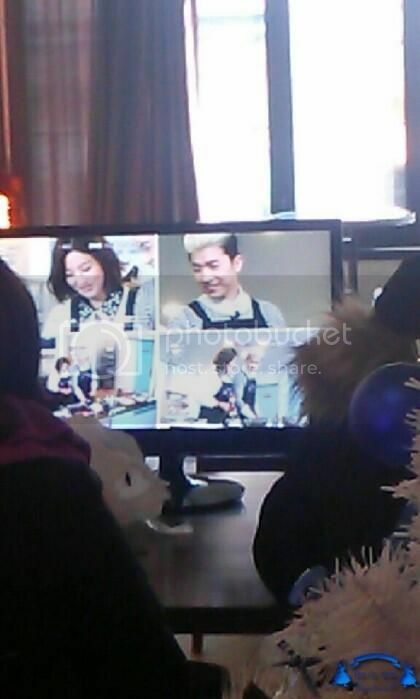 SUPPORT, LOVE, and BELIEVE in Wooyoung and Seyoung and HAVE FUN! I like this couple can't wait....Fighting! artz_10 said: hello therenew thread for the new couple btw are u micah from the twitter? artz_10 said: cutiemicah25 said: artz_10 said: hello therenew thread for the new couple btw are u micah from the twitter? New thread! Welcome! I love Park Se Young, so I'm excited! Here are some of their BTS photos Let's support them! fighting! @cutiemicah25 When is their first episode? This coming Saturday right? hello welcome to the thread lets keep it up and more update for the new wgm couple :-h LavelyShai said: @cutiemicah25 When is their first episode? This coming Saturday right? [iNFO!] Sulli Joo Woon, Park Seyoung, Ahn Jaehyun and Kim Sung Oh are the confirmed cast of "Fashion King". Filming will start in the mid of January and will premiere in the summer of 2014.